We are the pioneers in modern day emergency care. Providing international standard care in the field of Emergency and Trauma care 24 hours x 365 days. 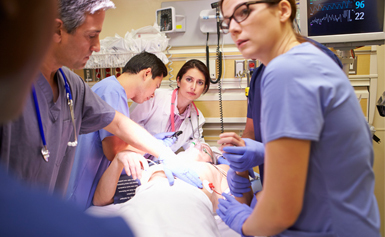 Protocol based approach and management of all types of emergency care. 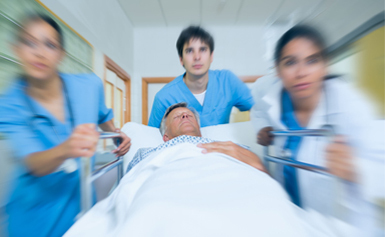 Internationally standardized emergency room with advanced emergency care equipments like latest defibrillators with AED ( Automated external defibrillators), Multipara-monitors, centralized suction facilities, advanced ventilators, modernized multifunction ER cots, apparatus to deal all kinds of difficult airways. Availability of qualified emergency medical officers round the clock to tackle all kind of emergencies. Our paramedics, staff nurses and medical officers are trained in BLS & ACLS. Our hospital has Advanced poison care centre ( toxicology) to manage all kinds of poisonous victims. Our entire emergency team is rich in hands on experience and fully committed to patients care.